jahtl said: Foreigners & PRs will run away. The rich will run away. Only the poor locals will stay behind. Their country will send aeroplanes to evacuate foreigners and PRs home..
All borders will be closed to Singaporeans and Locals will be left to either defend or die. The collapse of Saigon, South Vietnam 1975. Have to get out much earlier than 11 hours. then u know better meh? 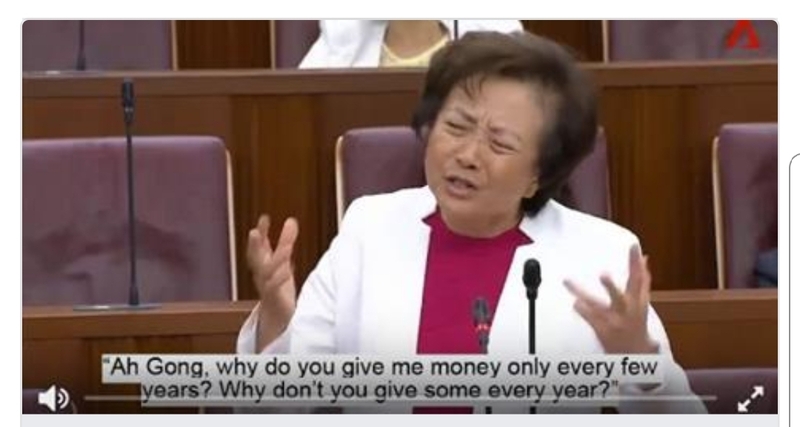 singaporean1964 said: then u know better meh? Who will die who wont die for country...no need to guess and say before anything happens only during crisis then you know. The one who proclaim he love his country and fellow man may be the first to run. Lee Wei Ling revealed. LKY want part of his family to consider leaving for safety during vietnam war. I guess the poor who have nothing else cannot afford tickets dont have no offshore assets are compelled to stay and fjght. But imagine if you are peter lim with property around the world 60% of the time you are outside the country. At the snap of his fingers can be in anyone of his luxury home in Europe, you think he or his son will be in the trenches fighting for their lives. I dont blame them for not fighting along side as they have many practical options. sgbuffett said: Who will die who wont die for country...no need to guess and say before anything happens only during crisis then you know. 空洞的口号，曲高和寡，blur sngkees dun understand and wun bother. Current time: 22-4-2019, 8:09 AM Powered By MyBB, © 2002-2019 MyBB Group.